Four separate incidents of whale beachings along the east coast of the United States and off the coast of Scotland have marine biologists concerned. Four separate events of whale beachings occurred over Labor Day weekend this year, one in Florida, and other in Britain, Cape Cod and Canada. Now scientists are conducting necropsies on these animals who beached themselves in Florida in labs throughout the state to try to determine why 22 pilot whales beached themselves. Volunteers and experts banded together at Avalon Beach State Park on Florida’s east coast on Saturday to try and save the whales. Despite their efforts only 5 pilot whales survived. According to Blair Mase, National Oceanic and Atmospheric Administration regional stranding coordinator, experts are continuing to collect data in an effort to determine why the whales beached themselves. Pilot whales are very social animals, and have been known to beach themselves as a group when only one of their numbers is ill. Conducting necropsies on the whales might be able to indicate if this is the case. The four juveniles and one calf that survived are currently swimming well in Harbor Beach Oceanographic Institute and there is a tentative plan to move the young whales to Sea World in Orlando. Despite the efforts on the British Divers Marine Life Rescue, 13 pilot whales have died after their pod mass stranded off the coast of Scotland. According to reports, these 13 were part of a 26-member group that originally became stranded in Pittenweem in eastern Scotland. 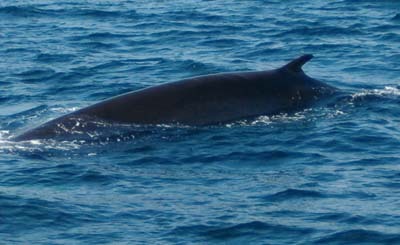 An additional 24 whales from the same pod are swimming in shallow waters about five kilometers from the coast. So far, theories as to the cause of the beachings include lunar influences and sonar testing. Over the past decade, reports that Navy sonar testing has led to pod distress or strandings by causing hearing loss have been contentiously debated. Share your thoughts on this article by posting your comment below or visiting our Long Island Living discussion forum. Subject: LongIsland.com - Your Name sent you Article details of "Several Whale Beachings This Weekend"